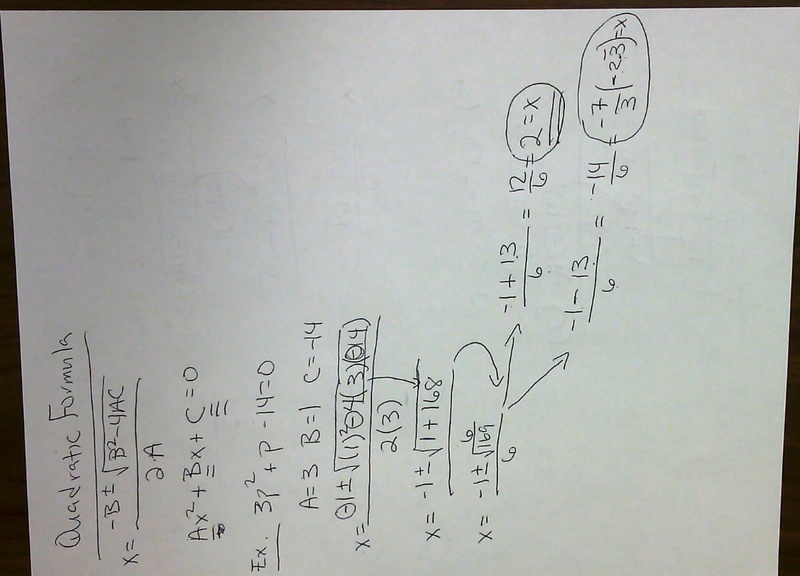 Today, I went over any questions the students may have had on #41 58 on the 2nd review packet given for the upcoming final exam. 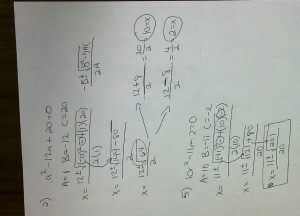 I then did examples of the last 8 types of problems that would be covered on the final. 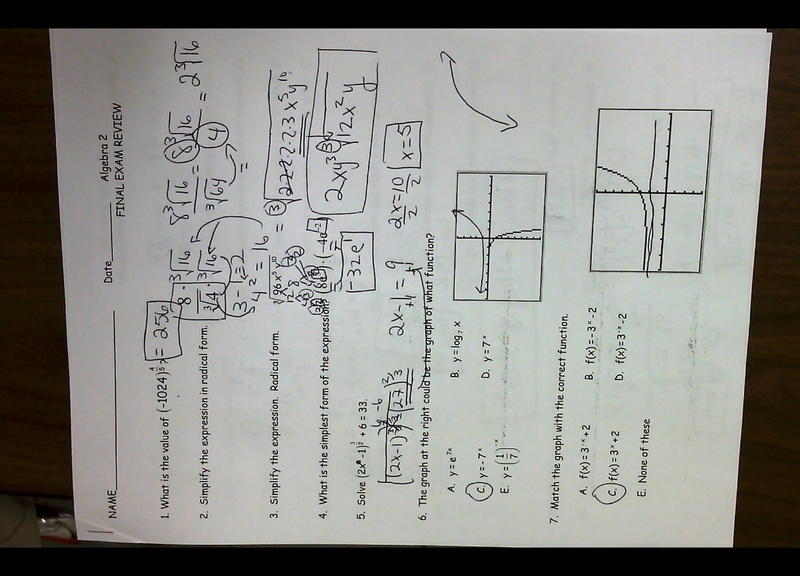 The students were then asked to complete not only #59-73 on the second packet, but also any problems from either review packet they had not completed yet. The answer keys to the final were available for the students to check their answers and ask any questions about any questions that they may have struggled with. Students are to finish both review packets(all 73 problems, if not finished already), and study for their upcoming final exam on Wednesday the 25th. Please see the links below for the review packets for the final exam. Study! Today, we reviewed the portion of the final exam review covered on Thursday the 19th and I made sure to answer any questions the students may have had on it. We then continued to review for the final by me leading the class through review examples on problems similar to the ones on the final exam, and then I provided extra practice on all of these topics. 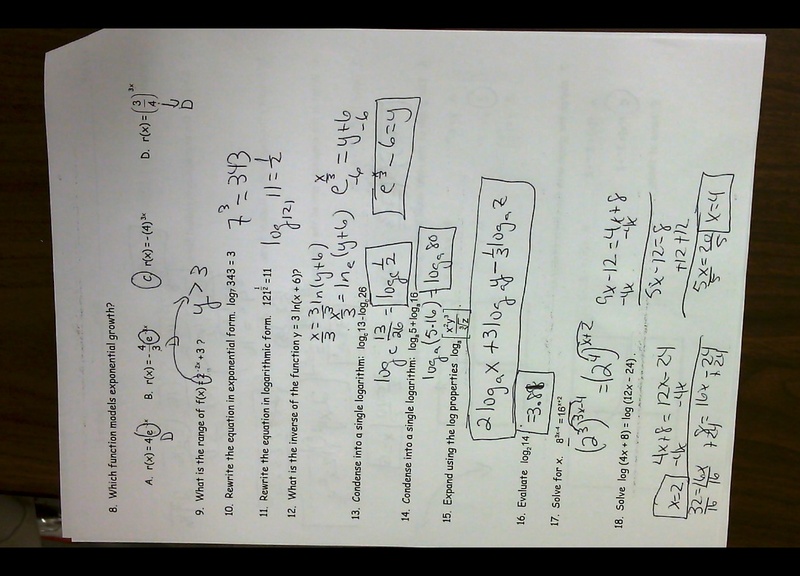 Students were asked to complete as many problems on the two extra practice review sheets for the final as possible for homework. We will finish reviewing for the final on Monday the 23rd. Please see the links below for the review sheets for the final. Today, we reviewed our lessons on determining the types of sampling used to acquire data sets, and also on whether given statements would lead to biased or unbiased results. We then did a lesson on determining the number ranges for the 68%, 95%, and 99.7% data ranges for given sets of normal data. 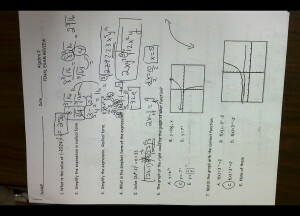 Students were assigned #2,4,and 6 on the normal curve analysis practice in class and this assignment was collected. 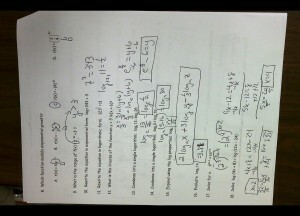 Lastly, we started reviewing for our upcoming final exam over Units 4, 5A, and 5B. (to be taken on Wednesday the 25th). Students were assigned a review sheet for the final exam and asked to start working on it for homework for tomorrow’s class. Please see the links below for today’s materials. 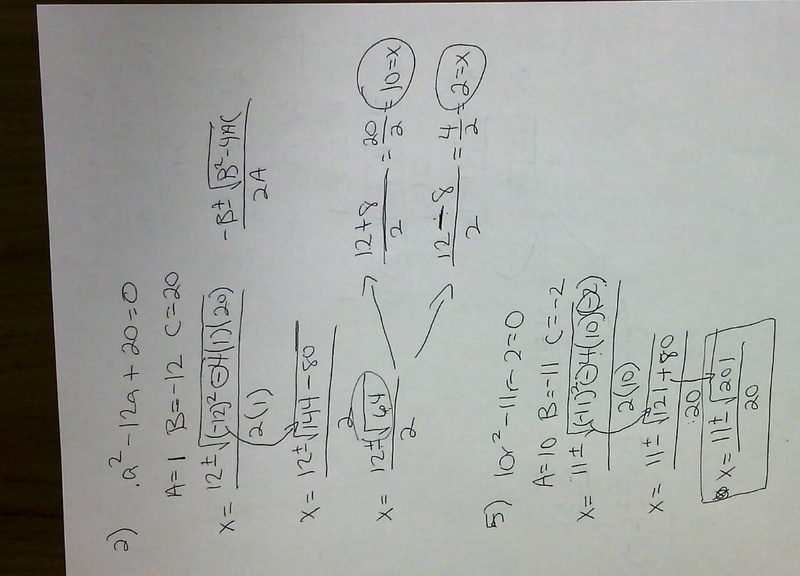 Today, we went over our review sheet for the Test on Factoring Polynomials and using the Quadratic Formula to solve quadratic equations. We then took our Test. There was no homework. 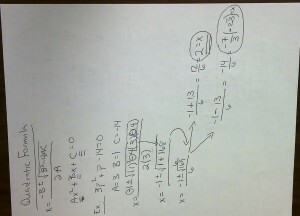 Please see my 5-18 blog entry for the review sheet for this Test. Today, we did lessons on how to calculate the mean, standard deviation, variance and range of a set of data using a calculator. We also started a lesson on the 6 methods of deciding how to choose a sample from a population. There was no homework assigned. Please see the links below for today’s materials.